Porsche delivers a car driving experience unlike any other and Porsche Austin delivers a dealership experience that lives up to the brand. When it comes to workmanship, customer service, and exclusivity, Porsche Austin is at its peak. 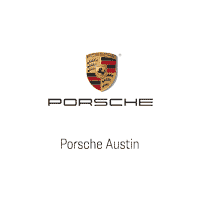 Porsche Austin is a member of the largest luxury automotive dealer group in Austin, Texas—Hi Tech Motorcars. Our dealership is completely dedicated to providing the best Porsche experience in Texas and beyond. Whether buying, leasing or servicing your Porsche, we aim to exceed any and all expectations. Our Porsche-certified Sales Professionals and highly-trained Service Technicians uphold an ongoing commitment to customer care. We appreciate you taking the time today to visit our website. Our goal is to give you an interactive tour of our new and used inventory, as well as allow you to conveniently get a quote, schedule a service appointment or apply for financing. Please do not hesitate to contact us with any questions you may have. Our team is happy to answer any and all inquiries. We look forward to doing business with you.